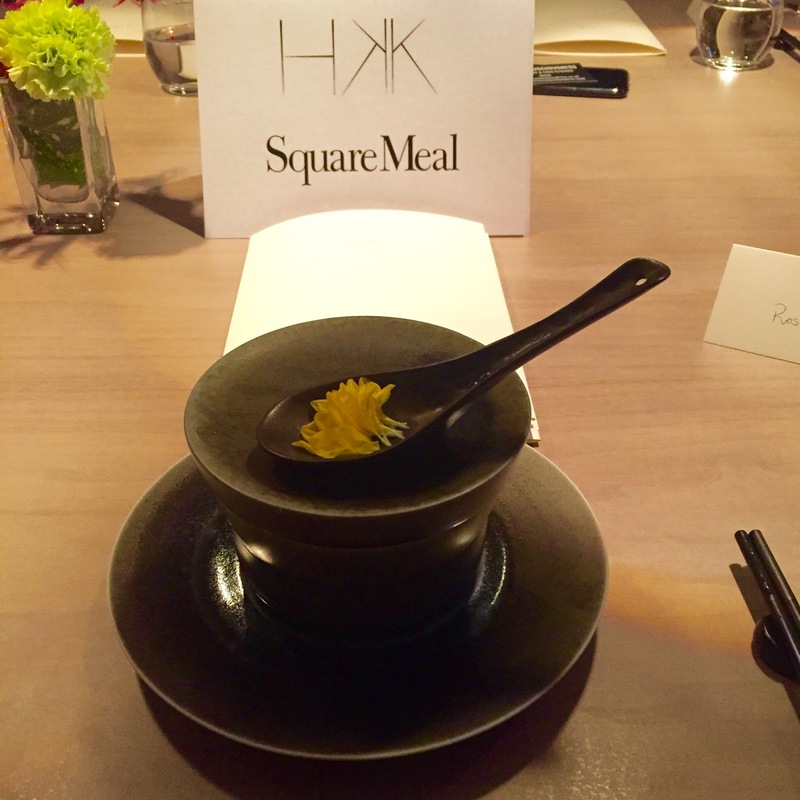 When the words Chinese food and Michelin star ping into my inbox it doesn't take me long to clear my diary and say yes to the invite, which is what happened when Emily invited me to join her and Square Meal at HKK in Liverpool Street to sample their tasting menu and drinks flight. 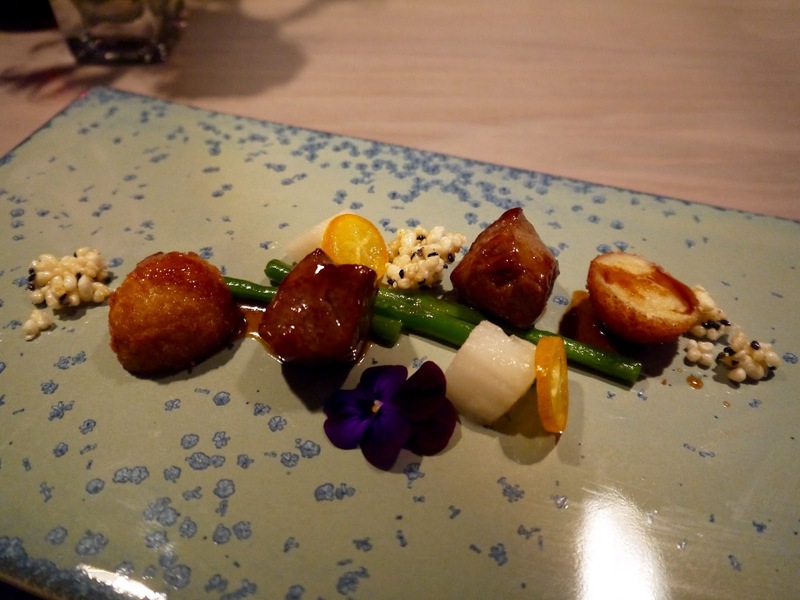 At £88 per head for food, plus £40 for the matching drinks it's not cheap but then again, it is Michelin starred, you'll leave very full and quite drunk, you can book a table in advance, and it's top notch Chinese food - probably the best I've ever tried. So as a treat, I think it's definitely worth it. The restaurant is large, with tables nicely spread out so you have plenty of room, though we were sitting in the private dining room around a table for 12 people that has a window straight in to the kitchen so you can see all the food being prepped. We started with a glass of bubbly, followed by a glass of cold sake to accompany our first course, which turned out to be my favourite. 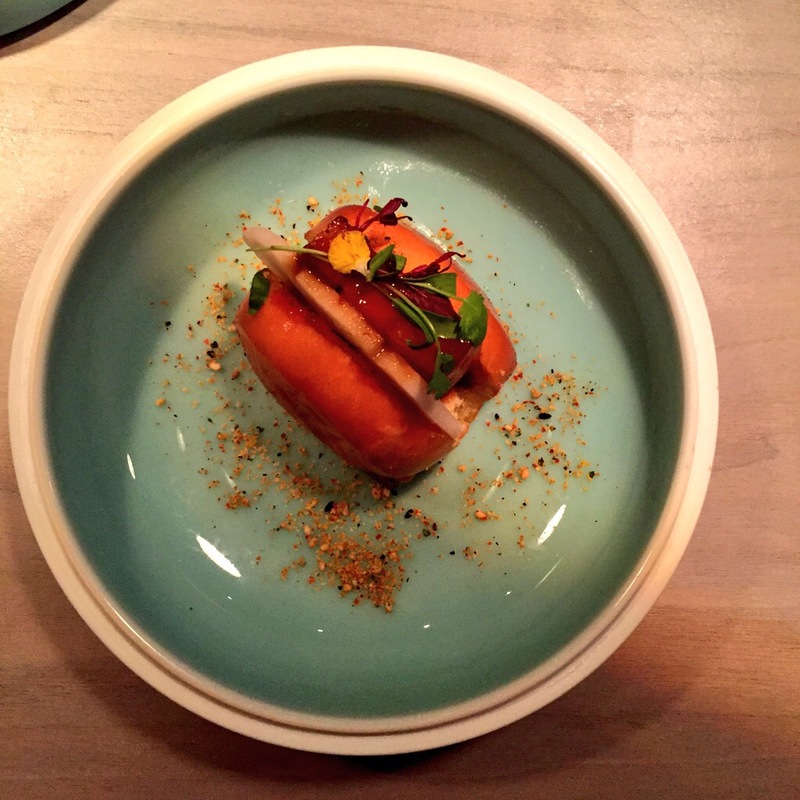 Duke of Berkshire pork belly mantou - a steamed bun that had been deep fried to give it a crunchy texture on the outside, while it retained its soft, cloud like texture inside, and was filled with a slice of rich, sticky pork belly. 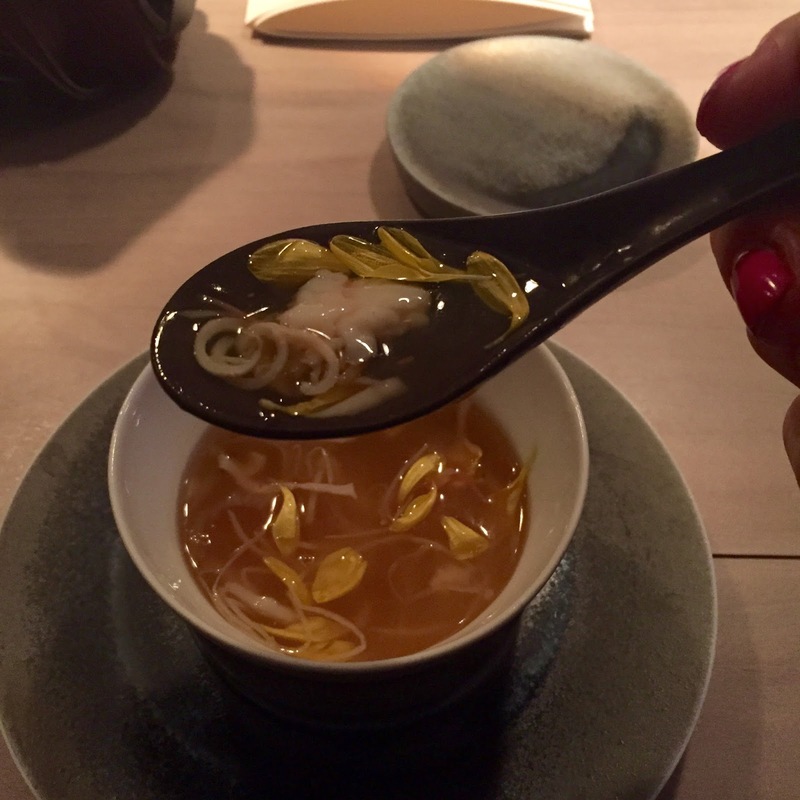 Next was chrusanthemum supreme seafood soup - a delicate flavour and gelatneous texture, I really liked this, though others didn't care too much for it. It is a gentle dish, with a subtle seafood flavour, and was paired with a warm version of the sake we'd tried with the pork bun. Dish number three was a trilogy of dim sum - a deep fried crispy wagyu beef dumpling, a pink dover sole filled dumpling with caviar and a beetroot skin, and a green lobster dumpling with chives in the skin - all three were divine, and I loved the paintbrush provided to delicately add soy sauce to each dumpling. 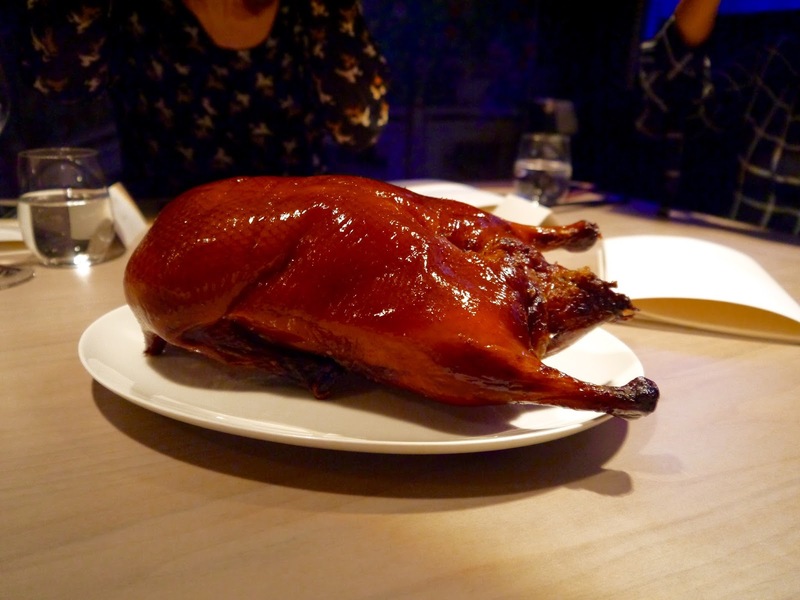 Next up was a signature dish of any Chinese restaurant - roast Peking duck. We'd watched this roasting in their special duck oven throughout the meal, and it was then brought to the table whole, before being taken away, carved up and returned to us served three ways - crispy skin with sugar to dip it in, in a pancake and on its own. It was really good and had a smokiness to it from the roasted cherry wood it was cooked in. The course that followed was wild seabass with black truffle balsamic vinegar and was a nice interlude between meat courses. 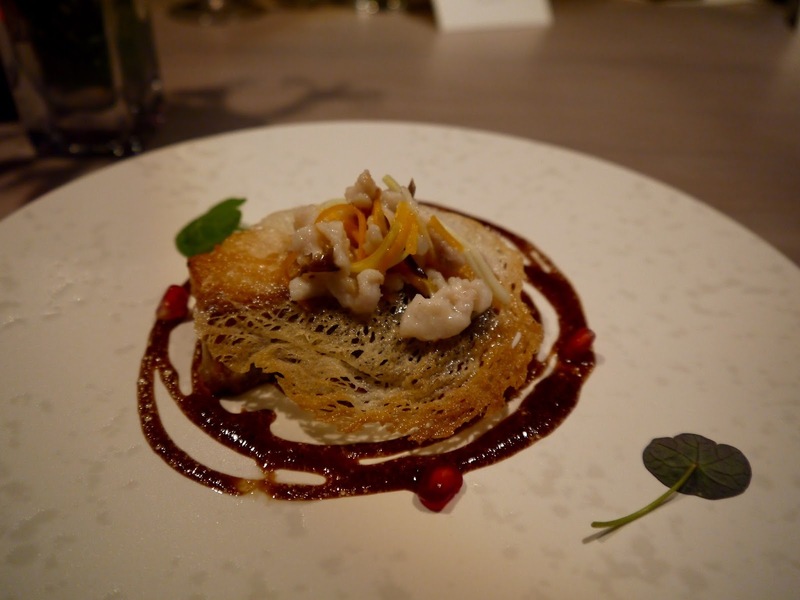 The seabass was, of course, perfectly cooked and topped with the lightest of rostis to mop up the sauce. The last of the savoury courses was grilled Japanese wagyu beef with kumquats and king sanpei sauce (black sesame oil, soy sauce and rice wine). I really liked the bitter citrus of the kumquats with the delicate, pink beef. My mum is a florist and often uses kumquats in winter flower arrangements, but it was nice to see them on the plate this time! The beef in this dish is the highest grade wagyu you can get, so there isn't a huge amount of it, but to be honest, by this point I was getting pretty full anyway so wouldn't have wanted any more. So onto pudding(s!). 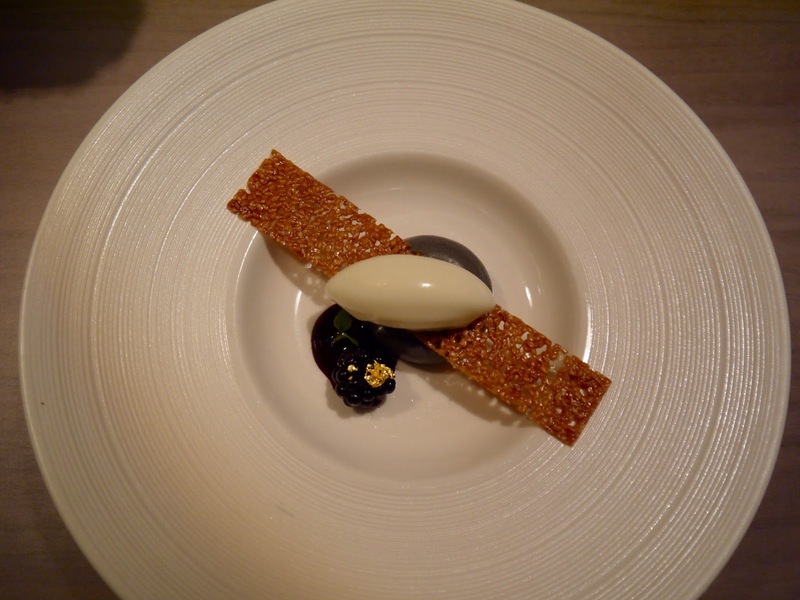 First was the black sesame cream, sesame tuille and lemon sorbet. Well you know how I feel about puddings, I really can take them or leave them, and this was the case here too, though I loved the lemon sorbet which was a wonderful palate cleanser, and a nice light sweet to finish. 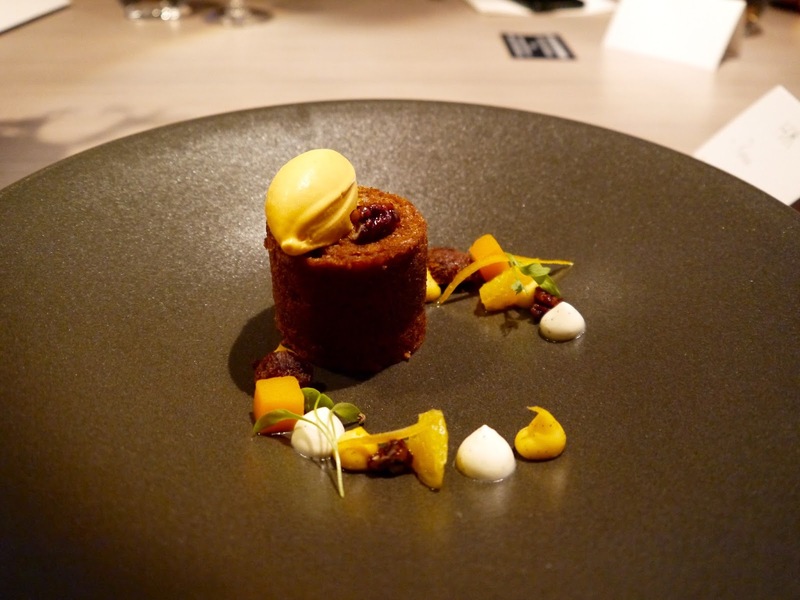 But we weren't finished.... dessert number two - pumpkin cake, five spice and carrot ice cream. It was nice, but I was so full the last thing I wanted to eat was cake! I tried a little but settled on finishing the pudding wine instead. Something to add, is that each course came with a different drink which sadly I didn't keep note of, but, the drinks were expertly paired with the dishes, and the sommelier came out to tell us why he'd chosen each drink with each dish. If you go for the tasting menu I really recommend that you go with the drink flight too - it really enhances the whole experience of the meal, and is good value at £40 extra. So there you have it - the best Chinese that I've ever tried. 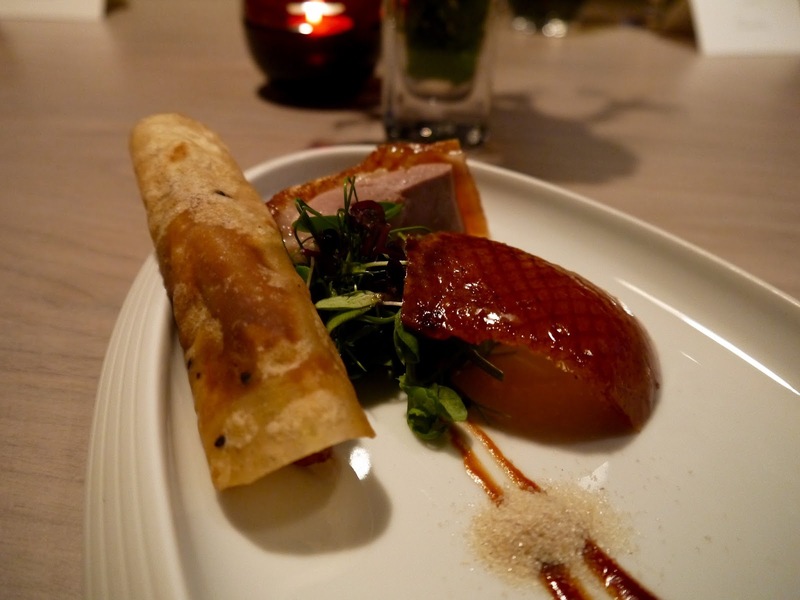 If you want to try HKK but don't want to go for the full tasting menu, they've just launched a duck and champagne Saturday lunchtime menu where for £49 you get champagne, duck done three ways, a starter and pudding - the perfect way to start your weekend? Ooh enjoy! Can't wait to try it out, looks like such a nice Saturday menu. I love Chinese food so I'm basically drooling over the pictures of your meal right now! Such a treat, these kind of events make me realise how lucky I am to have got to where I have. Was utterly delicious. 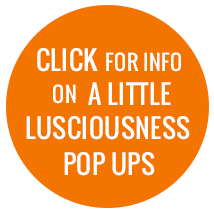 You should check it out, or at least the duck and champagne Saturday meal. It looks great! 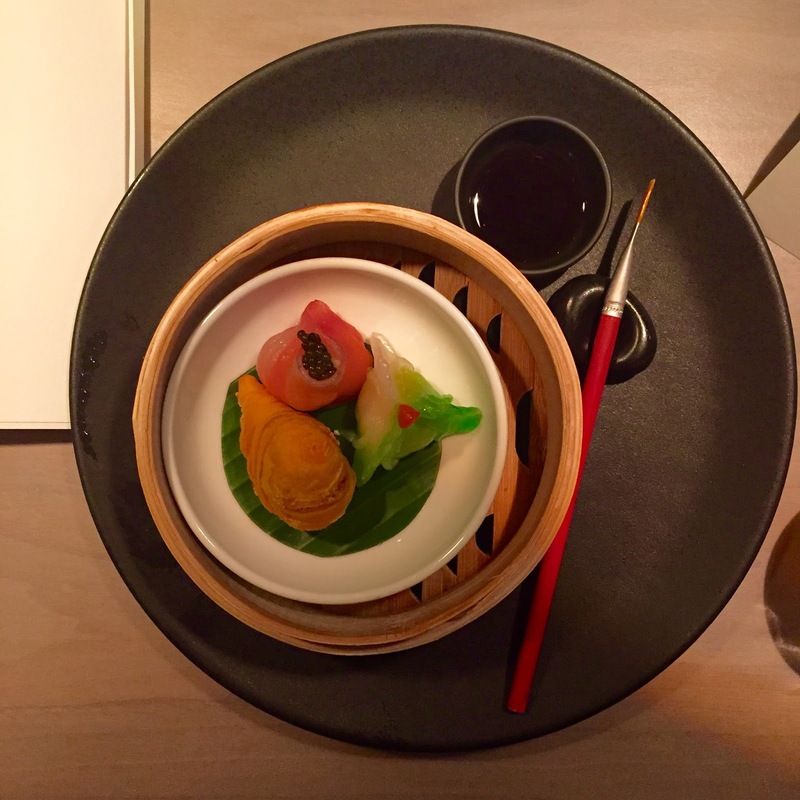 I adore Hakkasan Group's restaurants - they all do the *best* duck! 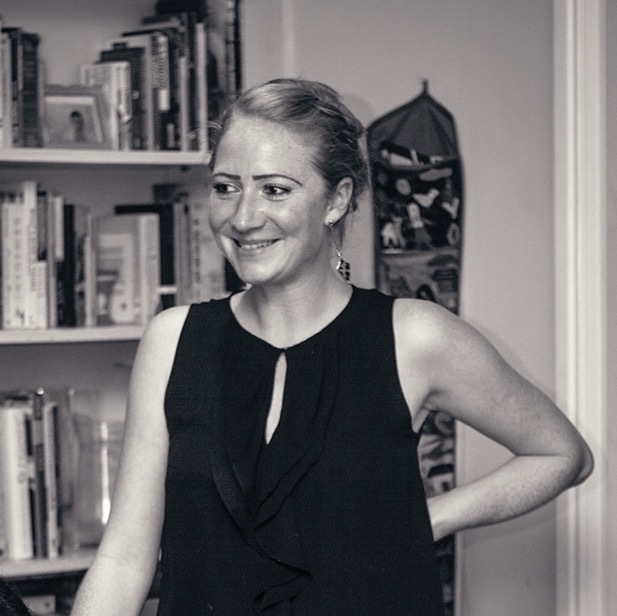 Like Angie I'm going to try it the Duck & Champagne shindig in a couple of weeks - super excited! Enjoy the duck and champagne! 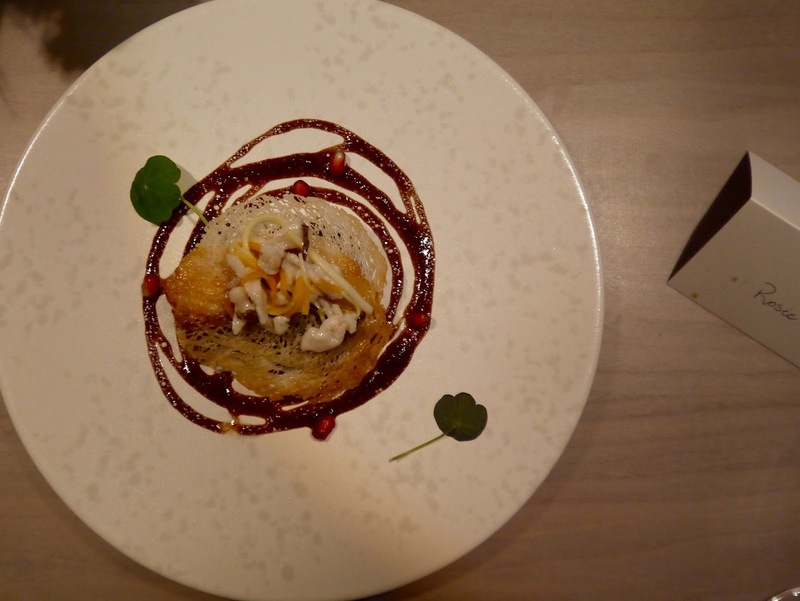 Really great restaurant Tamsin, definitely worth a splurge! Very nice. Beautiful photos. I love all recipes. Thanks for sharing.